‘Homefirst’ – Why not home? Why not today? 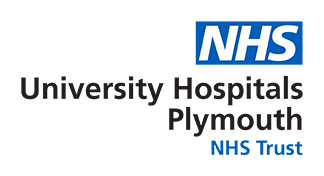 As part of a national programme designed to help people return home from hospital as quickly as possible, the Trust and Livewell Southwest have launched our own ‘Homefirst’ discharge pathway. We are able to provide a service where a person (who is identified as appropriate for the Homefirst pathway) is met within two hours of discharge home for their assessment. All goals, rehab and care needs are assessed and planned for in their own home. This is based on the belief that home is always the first option to be considered in the discharge process, hospital is not the best location to determine the support someone needs at home and that arranging care from hospital can extend a person’s time in hospital and often uses more of the domiciliary care hours. The DTA Team is made up of social workers, nurses, physiotherapists, occupational therapists and support workers. They work closely with colleagues in UHP and locality teams as well as our reablement provider (Human Support Group). The service provides time limited, goal driven reablement to support maximum independence being achieved. If you would like to know more about this service, please contact Tina Monro (Integrated Therapy Lead) on 07769 363485.